Come meet Craig Oliver at Books on Beechwood! He will be here signing copies of his memoir “Oliver’s Twist” from 11:00am to 1:00pm on Saturday, December 17. 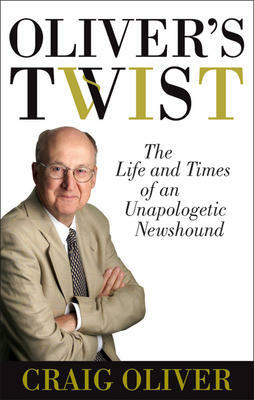 “Oliver’s Twist” is a wry and intimate account of an extraordinary life from a beloved newsman. “As chief parliamentary correspondent for CTV News, Craig Oliver is one of Canada’s most recognized and respected journalists, a newsman who has reported on the major political figures and news stories of our times with passion, insight, and bracing candour. We hope to see you all here on Saturday to meet our visiting author and buy some books! See you then!